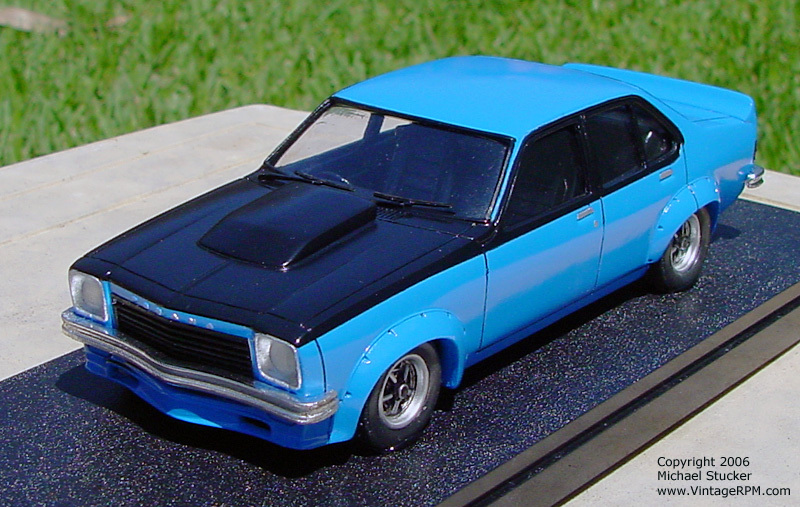 Holden Torana SL/R 5000 is an Australian muscle car. The model was painted Cobra Colors Ford Grabber Blue with Tamiya lacquer clear coat. Obviously not an original color for a Holden, but a paint color from the same era. Very nice curbside kit with one flaw – the resin tires will chemically react with styrene, which means they will melt down if the car is sat on the base of most plastic show cases. The tires should be replaced or sprayed with a flat clear coat.